Tri-State Business Systems provides a wide range of thermal ribbon products for your printing needs. Thermal ribbon, alternatively known as transfer ribbon, are mostly used for printing barcode labels. In order to facilitate an efficient barcoding of your products, you will need a steady supply of thermal ribbon for the printing of the barcodes. Tri-State Business Systems can help you in fulfilling that need as we are the premier supplier of thermal ribbon from the top manufacturers including Sony and Zebra ribbons. Tri-State Business Systems can supply labels, thermal ribbons, software, printers, and barcode scanner products. Top products from reputable brands such as Zebra, TSBS, Sony, and Datamax. You can enhance the efficiency of your business or organization through the use of the proper thermal ribbons and barcoding supplies. Zebra ribbons are the world leader in barcode technology. 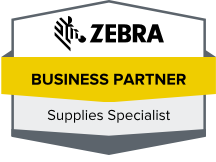 Purchasing Zebra ribbons from Tri-State Business Systems will be an investment for manufacturers, distributors, and even schools alike. You can choose from several main formulations of thermal ribbons, depending on your needs. These include standard wax ribbons used for printing on paper, wax/resin ribbons that are upgraded to resist chemicals on both synthetic and paper materials, and resin ribbons that are very durable against both chemicals and heat on synthetic materials. These ribbons come in different sizes as well as in different packages specific for a certain printer or application. The use of the right thermal ribbon just depends on your need. 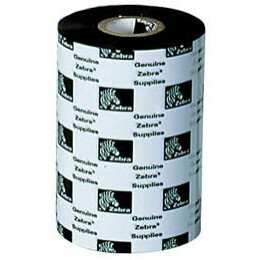 Thermal ribbon can help your business become more efficient and organized though more durable and long-lasting barcodes. Tri-State Business Systems can provide those supplies plus a whole lot more services. Contact us to place your order or for more information from New York, New Jersey, Michigan, Texas, Florida and throughout the country.